This penultimate episode is all grayed out vistas, twisted trees and tar black birds swarming. Atmospheric and odd it’s unlikely fare for a Sunday evening but those who’ve made the journey so far will surely be satisfied with the destination. 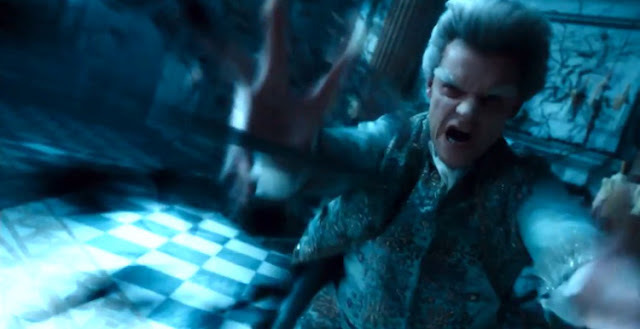 In many ways `The Black Tower` simplifies the story drawing the strands together towards a conflict between old magic and Norrell’s supposed enlightened version. As Strange discovers the essence of madness and invites it into his head and enters Lost Hope to rescue his wife, Norrell resorts to making every copy of his former pupil’s book literally disappear. Strange’s invasion results in the Gentleman trapping him in a sort of column of doomy black smoke in Venice. There is a sense that the story is off the leash and heading for quite a climax though some may find all the rolling eyes and shouting contained in this episode less terrifying than intended. A rather interesting episode examining the ramifications of lazy scientific labelling. A 17 year old boy Stephen Franklin is expelled from by a seemingly progressive headmaster based on the work of Professor Ensor who has concluded that those in possession of an extra Y chromosome are predetermined towards violence, criminality or mental problems. This may well be why he looks about 28! 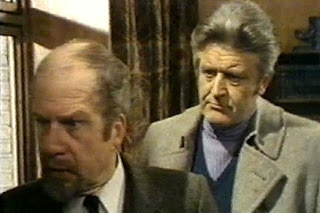 Stephen has not been proved to have such an extra chromosome and as his father Oscar, who is a journalist, digs deeper he contacts Doomwatch for help. The episode sits rather uncomfortably on the unlikely coincidence that Ensor is currently working in the Doomwatch building; indeed the pros and cons of his research are being debated just as Oscar walks through the room. This odd scenario aside, the episode is filled with intriguing questions. "I hope he doesn't know I'm also drilling to the centre of the world." 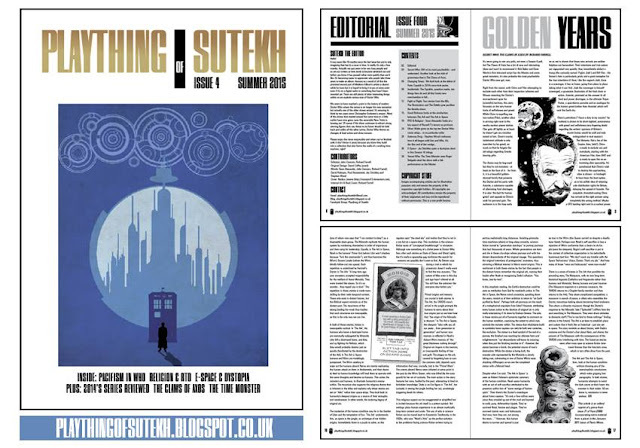 Issue 4 of the Doctor Who fanzine 'Plaything of Sutekh' is now in print. Issue 4 is 36 pages, fully illustrated with colour covers. To order, please send a Paypal payment to playthingofsutekh@mail.com - with your address in the 'notes' section. You can also pay by cheque, please email for the payee details. * Elsewhere in Europe: add £1.55 for 1 issue or £3.00 for 2 or 3 issues. * Outside Europe: add £3.20 for up to 3 issues. A supremely accomplished episode starts with a harrowing depiction of the Battle of Waterloo which Toby Haynes shoots with all the required gusto. Mingled with the once again recruited Strange’s magic the result is a great sequence culminating in a giant hand of mud squashing a soldier about to kill the magician. Clearly Napoleon’s key mistake was not also employing a magician. Spookily this week is actually the 200th anniversary of the battle as well. This mightily impressive opening turns out to be merely a curtain raiser for what’s to come. You have to credit Bertie Carvel who has to encompass a range of emotions and situations in an episode he dominates successfully. As for the story, well it has suddenly become a lot more linear and accessible. The pace of this episode in particular is as sharp as any contemporary drama. 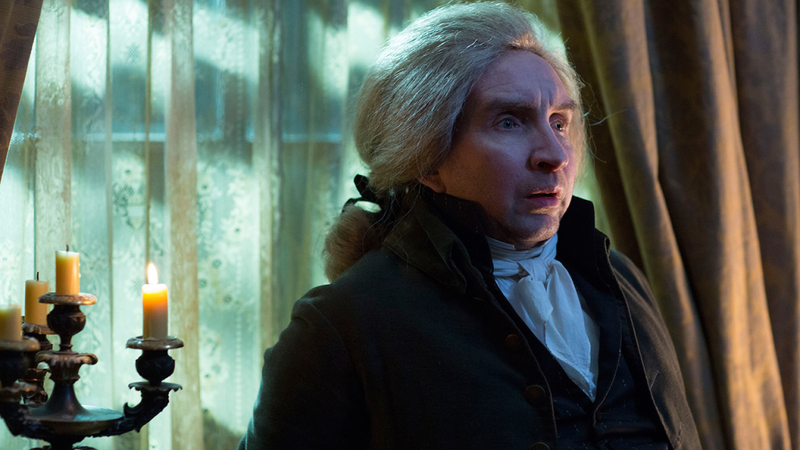 Mr Norrell is appalled, again. Peter Powell. "Hi! I just can't give you up and nor, I hope, can you give up Top of the Pops! It's the chart run down and, first off, Mystic Merlin!" Opening Titles: Mystic Merlin, Just Can't Give You Up . 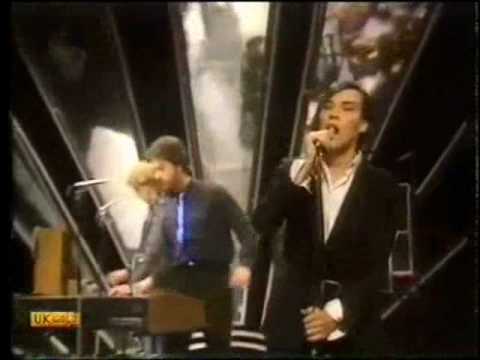 The Human League: Rock And Roll . The keyboard player on the Roland is wearing a blue sequinned tie which causes some confusion for the electronic effects. At one point the tie is replaced by the yellow/green/black colour replacement effect. The weird thing is there doesn't appear to be any CSO going on, so how does the blue tie get swapped out and not, for example, various blue pieces of clothing worn by audience members or the appalling turquoise Radio 1 jumpsuit modelled by Peter Powell? As the camera pans around the stage there's a wipe from one camera angle to another -the wipe is done around the straight edge of a synthesiser- I can't recall seeing a transition being done like this before. The Human League in 1980: The girls look a bit different then. One off anniversary special on Channel Four. TFI Friday conjures up a particular time when it was at the vanguard of a push back towards what became known as Dadrock. Bands like Ocean Colour Scene, Reef and others we’ve probably forgotten would be the musical guests and in many ways this coloured people’s attitude to the show. What TFI was really about was a sort of controlled anarchy. Rehearsed chaos if you will. Looking back its controversies seem trivial- some swearing, making fun of people that sort of thing. It was because it was broadcast at from 6pm that these things upset some though it’s also fair to say host Chris Evans was the target of some ire In those days. Nearly 20 years on much has changed. TFI seems tame compared to some of the outrageous tv we’ve been served since while Evans himself is an establishment figure. Could it still work in 2015? Well yesterday evening on Channel Four we found out. With overnight ratings of just 1.78m it would be wrong to describe this series as a hit though one suspects its charms may spread by word of mouth over the coming years. At some point in the future people may re-discover it and perhaps the creative climate of that time will be better disposed. In the meantime those who have dropped out are unlikely to be drawn back by a plot that grows denser each episode. In this fourth installment the differences in outlook between the two principal characters are brought into sharp relief both by the travails of Lady Pole and Strange’s own wartime experiences “on the Peninsula” which he never stops mentioning. It’s an episode that builds on both lead actors’ ability to convey conviction. This is an episode packed with interesting dilemmas for all concerned. A group of English people who’ve lived fairly self-sufficiently on St Simon’s Island near Fiji have been evacuated by the government after earth tremors. Billeted in what looks like an old army base they face having to integrate with a society far more advanced socially and technologically more advanced than they are. Writer Louis Marks delivers a cohesive script which succeeds in presenting different points of view and the results are interesting because your point of view changes as you watch. The story might be seen as an allegory for immigration. It’s on the news today, migrants from trouble spots pitching up in Europe and in this case the islanders debate what they will do, how they will live and work in an ostensibly alien society. There’s the push and pull between government intervention and democracy. Having shipped them over here, we see a wily government official unwilling to spend much more on helping them, suggesting that they are `free`, using the pretence of democracy to wash the authorities’ hands of them. We also witness the differing approaches within the islanders themselves. While the older ones resent what has happened we follow one younger man Isaac as he gets a job and expresses the view that their isolated island existence was “only half a life”. 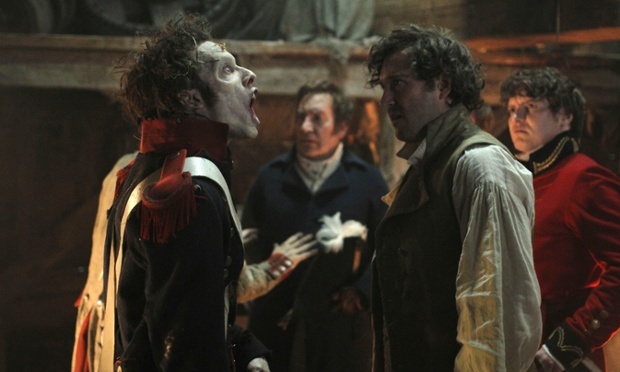 There’s a satisfying divide in this third episode between Strange’s travails on the continent and Norrell’s brooding in his grey home. Despatched to help Wellington win the war, Strange’s gauche introduction to the frontline sets a lighter tone which Bertie Carvel plays well. Yet the imperious general is initially uninterested in his service until Strange creates a road for the troops to progress along, after over hearing complaints about the terrain. 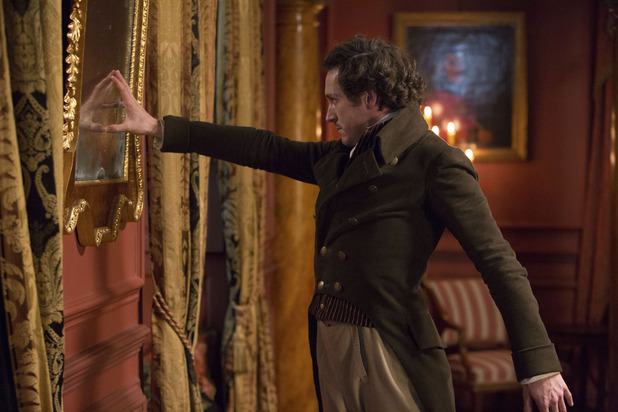 Suddenly Wellington (a clipped Ronan Vibert) is convinced and demands increasingly ambitious feats from the magician such as moving a forest. This goes badly wrong and a number of men are killed including Strange’s assistant. Perhaps more worryingly for Jonathan all of the precious magic books he borrowed from Norrell are shredded. "Er, wrong series, fellow. You want The Walking Dead. What's that? " "Grrghhh"
Steve Wright, "hello, good evening. I'm Steve Wright, and welcome along to Top of the Pops, and the chart with Rodney Franklin [puckers lips in weird kissy-face]"
Charts: Rodney Franklin, The Groove . Smokie: Take Good Care Of My Baby . A very lacklustre start to the programme. Over the past month Top of the Pops has started with Phil Lynot singing Dear Miss Lonely Hearts (no you didn't miss this, its sole Top of the Pops outing was on a J*mmy S*v*l* edition), The Undertones with My Perfect Cousin, Madness doing Night Boat To Cairo, and -god bless 'em- those zany funsters Liquid Gold with Dance Yourself Dizzy. Smokie doing a slowed down Bobby Vee cover just can't cut the mustard. The only moment of real interest is at the start of the song as the camera swoops towards the stage and the audience parts like the Red Sea to avoid being clouted. Paul McCartney: Coming Up . 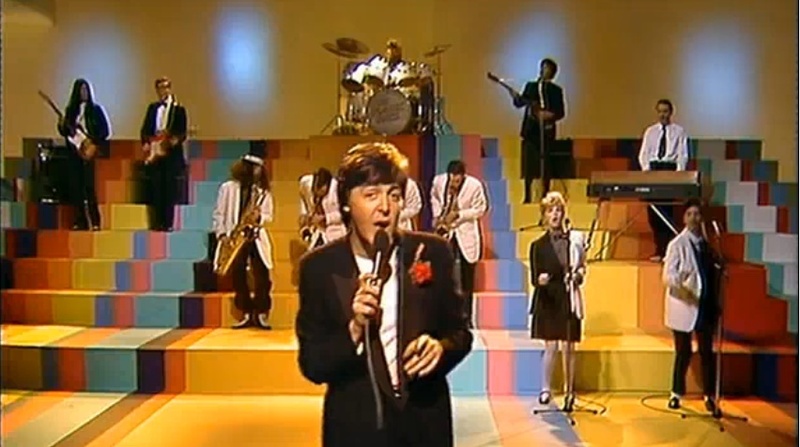 The video for Coming Up is all about Paul McCartney impersonating other musicians (Ron Mael, Hank Marvin, and Beatles Paul are the obvious ones) but watching old Paul McCartney videos now is like watching a Peter Serafinowicz impression; there's the head tilt, there's the finger point, there's the shoulder waggle. Impressions within impressions; Coming Up makes me feel like I've accidentally pulled the lid of a box of infinite mirrored reflections.